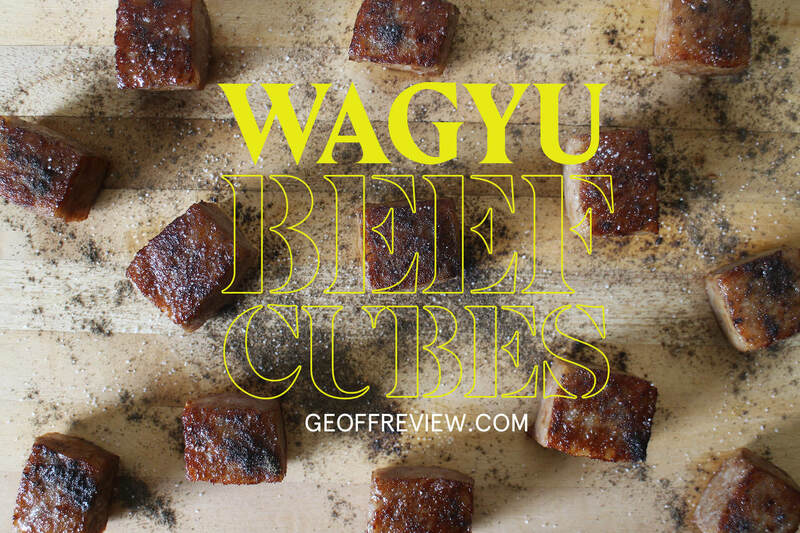 Wagyu Beef Recipe: How to Cook Wagyu Cubes at Home: Lately I’ve been obsessing about Wagyu Beef Cubes. I don’t know what came into me, but the past few months I’ve been craving wagyu cubes all the time, that I’d actually go out of my way to go to Makati City just to buy half a kilo of frozen Wagyu beef cubes. Because of this craving I’ve actually learned how to cook wagyu cubes at home, not that it’s hard to do anyways. The key is to make sure that you don’t overcook the wagyu cubes, so that they stay soft, juicy, and flavorful! Other places that you can buy wagyu cubes in Manila are on food bazaars like Mercato. I saw some stalls selling wagyu cubes in Mercato BGC and Mercato Makati. Thaw out the frozen wagyu cubes. You can marinate the wagyu cubes in soy sauce or in liquid seasoning for around 10 minutes. However, wagyu cubes are really good on their own without having the need to be marinated. Heat your grill or non-stick pan. Place the wagyu cubes on the heated grill / pan. No need to add oil or butter. The wagyu cubes would produce oil naturally while grilling. Sear each side of the wagyu cubes with your preferred level of doneness. Wagyu cubes cook quickly, so make sure that you don’t overcook each side. You may brush it with sauce while grilling for added flavor. If you didn’t marinate or add sauce to the wagyu cubes, you may simply sprinkle salt and pepper to taste. Previous ArticlePresotea Opens Franchise in the Philippines!